Nasal polyps treatment can involve medications, surgery, or lifestyle changes. 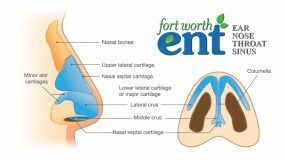 Once your ENT has evaluated your symptoms and determined that you have nasal polyps, you and your doctor can build a comprehensive plan to treat the condition. Therefore, you’ll need to keep your follow-up appointments because treatment for nasal polyps is typically ongoing. If a patient has large or numerous polyps or medications have not helped, an ENT provider will suggest surgery. Polyp removal surgery is called polypectomy. During a nasal polypectomy, the provider will first give the patient a general or local anesthetic. The ENT doctor will then insert an endoscope through the nose to view the nasal and sinus passages. The doctor can then use micro-instruments (also inserted through the nose) to remove the polyps and open the nasal passages. Nasal polypectomy may be the ideal solution for many patients; however, at times, polyps can return requiring repeat surgeries. Fortunately, the procedure is short, well-tolerated, and minimally invasive. Therefore, patients usually are able to return home within a couple of hours after a polypectomy. Many patients find they are congested for a few weeks, but some patients report immediate relief. There are risks of nosebleeds and bruising after the surgery. However, the doctor does not make any external incisions during the procedure. Although nasal polyps treatment can be challenging, with help from a knowledgeable and experienced specialist, you can find relief. 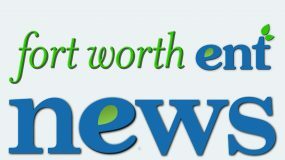 Our physicians here at Fort Worth ENT & Sinus are here to help. 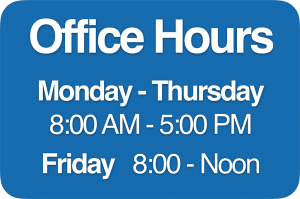 To make an appointment with one of our ear, nose, and throat specialists, call 817-332-8848 or request an appointment online today.